Here are a few lovely souvenirs from past performances. Scroll through the memories by clicking on the arrows at either side of each photograph. We hope some of these will bring a smile back your face; they certainly do for us. 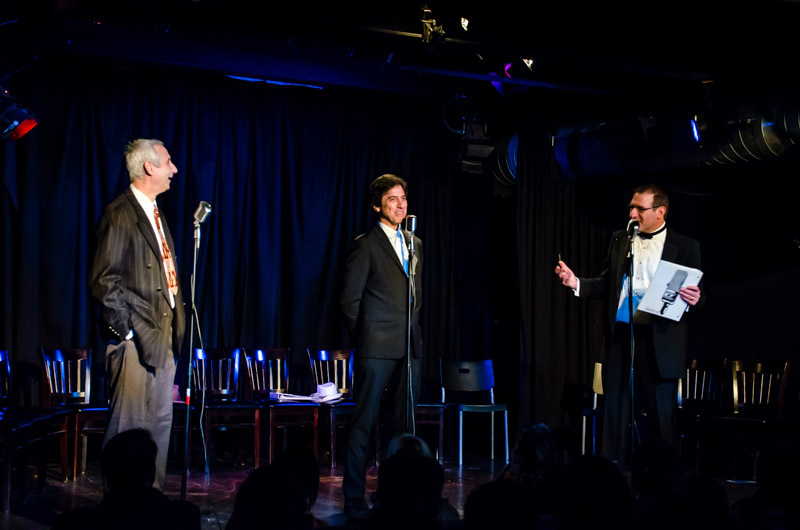 Fake Radio's Artistic Director, David Koff, introduces special guest Ray Romano. Jen Hasty performing with guest star, Ray Romano in "It's a Wonderful Life"